Align Technology, Inc. has filed six patent infringement lawsuits asserting 26 patents against 3Shape. 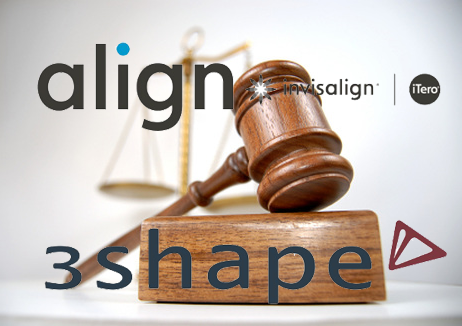 Align filed two Section 337 complaints with the U.S. International Trade Commission alleging that 3Shape violates U.S. trade laws by “selling for importation and importing its infringing Trios intraoral scanners, OrthoAnalyzer and Dental System software,” according to their press release. Stick with DentalTechTips for more updates on Align and 3shape!